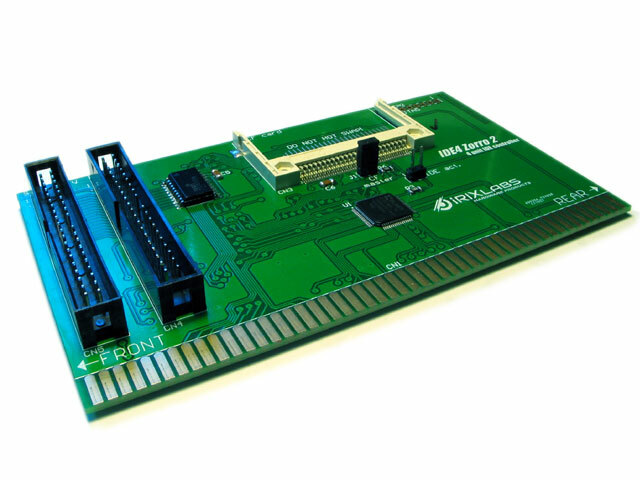 IDE4 Z2 is a Gayle compatible 4 unit IDE controller, designed for Amiga 2000. It supports 4 IDE devices on two ports (primary and secondary). Without any additional driver the primary port is active (Kickstart 2.05+ is required). IDEfix driver is required to enable the second port or to use a CD / DVD device (the default scsi.device in ROM doesn't support it). CF master / slave mode is selectable via a jumper. A connector for IDE activity LED is also available. The controller is RDB compatible: HDToolBox and HDInstTools can be used for disk partitioning. Large drives are supported with IDEfix + HDInstTools + PFS filesystem combination. 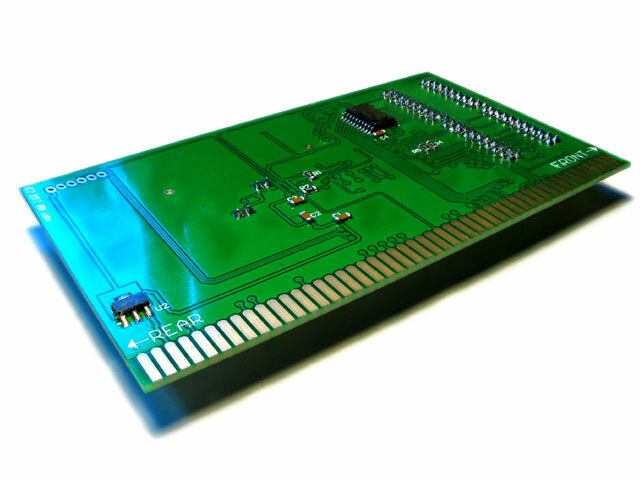 The board comes in beautiful green color and golden edge connector contacts for maximal reliability. The card position is marked with REAR and FRONT silkscreen texts for proper mechanical installation. DO NOT INSERT THE CARD IN REVERSE POSITION! Doing that will PERMANENTLY DAMAGE THE CARD AND / OR YOUR AMIGA! Be careful when installing the ide4 controller card! *GVP G-Force 030 SCSI ROM conflicts with the Gayle IDE controller. If the SCSI ROM is disabled (J9 open), the system is booting, but the GVP FastRAM is not added to the free memory pool. Unfortunately this card doesn't use the standard free memory chunk addition method via an autoconfig structure; instead it uses an Exec call from it's ROM. Autoaddram or other tools are still usable for configuring the GVP FastRAM from $100000.